Update: Decathlon took back the shoes and I got a replacement. Read the last section. On December 6th, 2016, I bought a pair of Kalenji shoes from Decathlon to replace my regular shoes. This was the third time I had bought a Kalenji shoe. I was pretty happy with the older ones – they had fit me well and had lasted for a decent amount of time. I visited the store (Decathlon Whitefield) and explained the scenario. The staff were bound by the warranty clauses – 2 years for sole and stitches. Mesh cuts were not covered by warranty – no matter when it was purchased. At least the staff helped me in getting a duplicate bill and giving me some contact info. 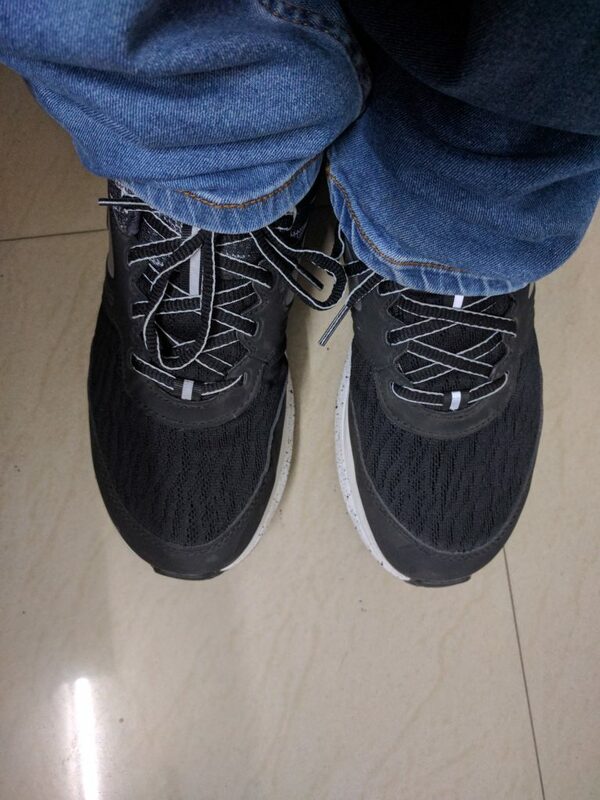 I had purchased this shoe (product id 798912) on 6th December 2016. Within 7 months there is a mesh tear (usage, not accidental) on right shoe and signs of thinning on the left. I had gone to the store where I had bought it (Whitefield). The Kalenji representative said that she cannot do anything as mesh tear is not covered under warranty. She pointed out that I have slightly wider feet and this will happen with all brands. While her assessment may be correct, a tear in 7 months, in my opinion, is a quality problem. I have used Kalenji shoes before and that lasted for 2.5 years – which was heavily used and retired in the end with the sole naturally wearing out. Kindly let me know what I should do. I am not happy with the product giving up in such a short period of time. 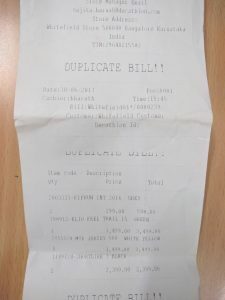 Attached please find photos of the shoes and a copy of the bill (Whitefield01*/0080209) I have obtained from the store. I attached a few pictures, too. The right shoe with the mesh cut. 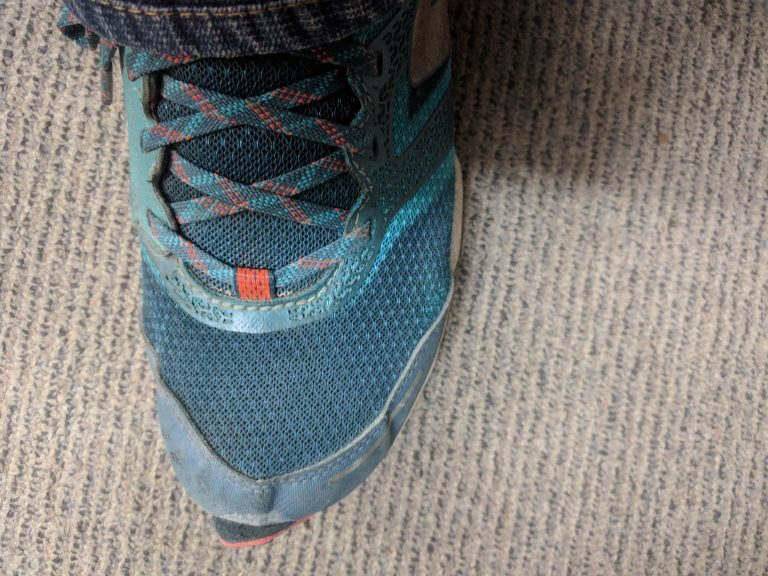 The left shoe with material thinning outat a similar position. I had obtained some India customer care address from the store : incustomerhappiness@decathlon.net. No sooner did I hit send, than I got a mail failure delivery notification. I rushed back to the store and mailed it to the inbox of a staff and asked him to forward it to the concerned department. I have no clue if he did that or not. Just to be safe, I had contacted Decathlon India via Twitter. They quickly got back. Little did I know that this would be the only fast response from them. Although the staff assured me that I would be getting some reply in 24 hours, I did not receive anything for the next 3 days. It’s been 3 days and haven’t heard back from you guys. Poor customer service. I received a Twitter apology. We will quickly get this checked from the team and get back to you. Apologies for the delay!. This only turned out to be a hollow promise as no attempt was even made to look into the issue. It seemed like they did not give a damn about their customers or their products. I was quite frustrated at this point and wrote back to them. I haven’t heard from anyone yet. More delay? It is frustrating that you guys don’t care about your customers or the quality of your product. This time, they were at courteous to give me a call and mention that the team that looks after the brand isn’t there but the issue would be sorted out by 6th. Sad to say, I am yet to receive any reply / response. I have contacted them via Twitter asking for a response. Maybe I will send a link to this blog to some concerned people. Stick to the warranty clause and say that they don’t care even if a product fails in such a short duration. Thus, this will give out the message that they don’t care about the quality of their products or the customers who spend on them. In such a case, the shoes will only add up to the landfill. They don’t even sell patch kits. I believe they can take a page out of Patagonia’s branding and really work hard to make lasting products, while promoting the concept of repair, reuse and recycle. Accept that this was a quality issue but is only an exception and I was unfortunate to get a poor piece. In that case, they should stand by the quality of their product and issue me a replacement / refund. Again, I expect some corrective action regarding their design philosophy that aims at enhancing the longevity of their products. Don’t accept that it was a quality issue and blame it on poor or incorrect usage on the customer’s part. In such a case, I must re-iterate that I am not a trail runner (I can’t even run properly). 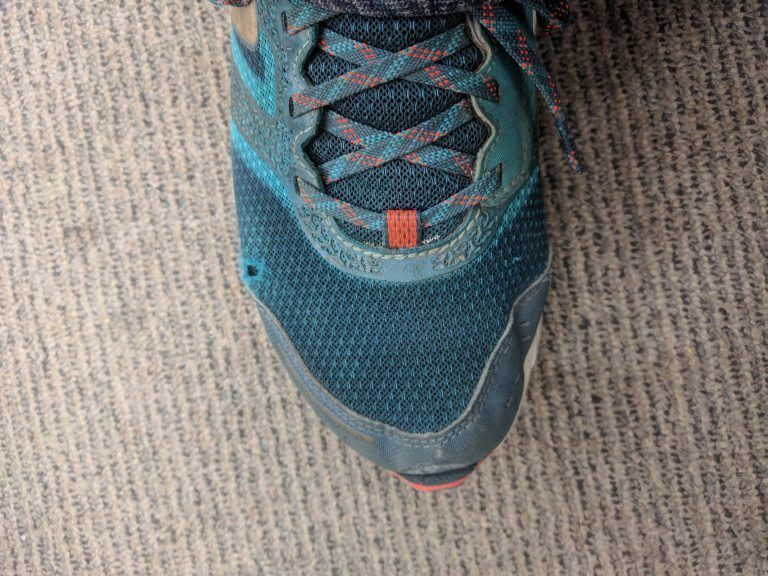 These shoes were only subjected to usual walking on pavement, on my office floors and the usual 2×2 km bicycle commute between my home and office. Again, in such a case, the shoes will only add up to the landfill. They can always take another route and ignore customer complaints altogether. That would induct them into the hall of shame. I hope they aren’t heading in that direction. If they contact me back, I will post a follow-up. A staff from Decathlon Whitefield called me up exactly one week after my complaint and said that they are ready to trade-in the shoes. He insisted that the mesh-cut was a technical problem owing to my wide feet. I don’t buy it. It’s purely a design flaw. There are certain contact points that have to be reinforced. Interestingly, the lady in charge at the counter had similar issues with a pair that her father bought.